SL Green Realty Corp. is a real estate investment trust that primarily invests in office buildings and shopping centers in New York City. The Related Companies, L.P. is an American privately owned real estate firm in New York City, with offices and major developments in Boston, Chicago, Los Angeles, Las Vegas, Miami, San Francisco, Abu Dhabi, London, São Paulo and Shanghai. It has more than 3,000 employees. Related owns more than 8,000 luxury residential rental units in New York City, more than anyone else. A family-owned company with diverse and global geographic span, with sustainability as a focus across diverse markets including real estate and energy. Vornado Realty Trust is a real estate investment trust formed in Maryland, with its primary office in New York City. Real Estate in Western, Central and Upstate New York. Buying, selling, financing and insuring your home - HUNT is Always There For You. Serving Westchester, Fairfield, Putnam and Dutchess Real Estate. Halstead Property is the largest privately held real estate firm in the NY Metro Area. Visit halstead.com for more on us. Empire State Realty Trust (NYSE: ESRT), a leading REIT, owns, manages, and operates office and retail properties in Manhattan and the greater NY metro area. Kimco Realty Corporation (NYSE: KIM) is a real estate investment trust (REIT) headquartered in New Hyde Park, New York., that is one of North America's largest publicly traded owner and operator of open-air shopping centers. As of June 30, 2018, the company owned interests in 460 U.S. shopping centers, comprising 79 million square feet of leasable space primarily concentrated in the top major metropolitan markets. United Capital Corp., together with its subsidiaries, is primarily engaged in the investment and management of real estate, including hotels worldwide. The company operates in three segments: Real Estate Investment and Management, Hotel Operations, and Engineered Products. The Real Estate Investment and Management segment invests in and manages real estate properties, as well as makes short-term loans secured by properties. This segment owns, manages, and leases properties for department stores, shopping centers, restaurants, and office buildings, as well as owns child-care centers in New York City, and properties available for sale and lease. The Hotel Operations segment owns and operates 6 full service hotels with approximately 1,500 rooms; 100,000 square feet of meeting space; and 160,000 square feet of exhibit and meeting space under DoubleTree by Hilton and Radisson brands or as independents. The Engineered Products segment offers knitted wire products and components for use in airbags, shock and vibration isolators, noise reduction elements, and EMI electronic shielding, as well as in air, liquid, and solid filtering devices for the automotive, aerospace, and general industrial markets. It also provides exhaust seals and components to automobile manufacturers; and transformers under the AFP Transformers and EPOXYCAST brand names for use in frequency motor drive systems, manufacturing machine tools, utility company substations, semiconductor fabrication equipment, and industrial furnaces. In addition, this segment offers custom magnetics for transit vehicle traction systems, as well as components in solar and wind energy, nuclear power, electric vehicle batteries, and power quality and conditioning systems. The company distributes its products to industrial consumers and original equipment manufacturers through a direct sales force, as well as distributors. United Capital Corp. was founded in 1980 and is headquartered in Great Neck, New York. New York land and camps for sale - Christmas and Associates sells NY land, properties and lots for hunting, fishing and other outdoor recreation. We also build camps and cabins for our NY land customers. Life Storage is a self storage company and real estate investment trust based in Williamsville, New York. Judicial Title provides industry leading title insurance services for New York State and offers services on a National level as well. Meridian Capital Group's commercial mortgage programs provide customized financing for real estate deals in New York, New Jersey, Florida, Pennsylvania, and Illinois. Wilmorite is a leading commercial real estate development and management company based in Rochester, NY. Auto, Business, Flood, General Liability & Home, General Liability Insurance serving, Queens, Brooklyn, Amityville, Babylon, Deer Park, Farmingdale, Lindenhurst, Massapequa NY. Sterling Forest Corporation owns, operates, and develops real estate properties. The company was incorporated in 1980 and is based in Tuxedo Park, New York. The Corcoran Group, Inc. provides real estate services in New York, The Hamptons, and South Florida. It sells and rents homes, commercial and healthcare facilities, townhouses, and open houses. The company was founded in 1973 and is based in New York, New York with additional offices in Manhattan, Brooklyn, The Hamptons, North Fork, Shelter Island, and South Florida. 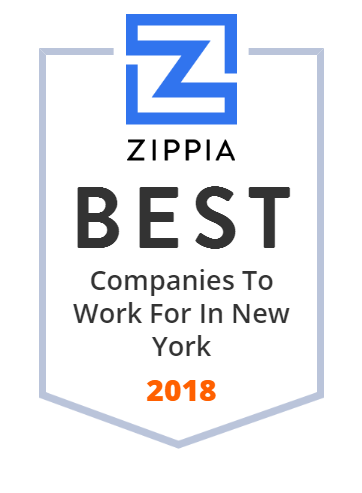 Find the best New York and California home insurance, auto insurance, and business insurance in Clifton Park, NY and Palm Springs, CA. We offer business insurance, home insurance, auto insurance quotes. Brooklyn is our backyard, and we love helping people find their new home. The Trump Organization is the collective name for a group of approximately 500 business entities of which Donald Trump, the current US President, is the sole or principal owner. We are Driven to serve our local community in the purchase and sale of Real Estate. We have more than 15 years of experience offering our real estate services. Two Harbors Investment Corp. is a Maryland corporation focused on investing, financing and managing residential mortgage-backed securities (RMBS) and related investments. Cappelli Organization is a prominent force in real estate development and general construction in the Northeast. Bringing sanity to residential transactions. Close deals faster. Acadia Realty Trust (NYSE:AKR) is an equity real estate investment trust focused on delivering long-term, profitable growth via its dual - core and opportunity fund - platforms. Ladder Capital is a direct provider of $5 million - $100 million commercial mortgage loans secured by commercial real estate in the United States. Reis is the leading commercial real estate data source in the nation, providing an advantage to firms with debt or equity exposure across capital markets. iSTAR is a NERC-funded research programme studying the stability of the West Antarctic Ice Sheet, focusing on the Amundsen Sea sector and Pine Island Glacier. NYC real estate for sale & rent. Free map and photo search of condos, co-ops, luxury lofts and single family homes in New York City. Broadstone Group, Inc. is a real estate development company. The company was founded in 1998 and is based in New York, New York. Commercial and residential title insurance and related services for attorneys, developers, investors, lenders and REITs in New York and across the United States. Douglas Elliman is an American real estate company. Kaplan Development Group, LLC provides caring and compassionate senior living. Visit our website to learn more. At Morgan Communities we are dedicated to providing the best in apartment homes. To learn more about our apartment communities, please visit our website. Northstar Location Services, LLC, doing business as The Northstar Companies, provides receivables debt collection services to customers in the United States, Canada, and internationally. Its services include first and third-party debt collections, customer care programs, and location services. The company was founded in 2000 and is based in Cheektowaga, New York with an additional office in Canada.